The great thing about this makeup is that you basically just need a black eyeliner – the rest is optional. I recommend using a liquid liner to get a more solid colour, but somehow I didn’t bring mine to uni so I’ve demonstrated with a pencil. I also suggest looking at a photo of a real leopard to help you along the way. I first applied my usual foundation and concealer. Then, I took a shimmery golden eyeshadow on the same brush and applied it liberally on my eyelids, forehead, cheek bones and nose. I plotted the eyes by studying a photo of a leopard and making dots where I wanted the eyeliner to extend to. The black around a leopard’s eyes is about the same thickness all the way around, apart from in the lower inner corner. I tight-lined my eyes as a starting point. Following that, I used a sharpened kohl to join the dots to my liner, keeping it thin on the upper lashline, and using an angled brush where necessary. 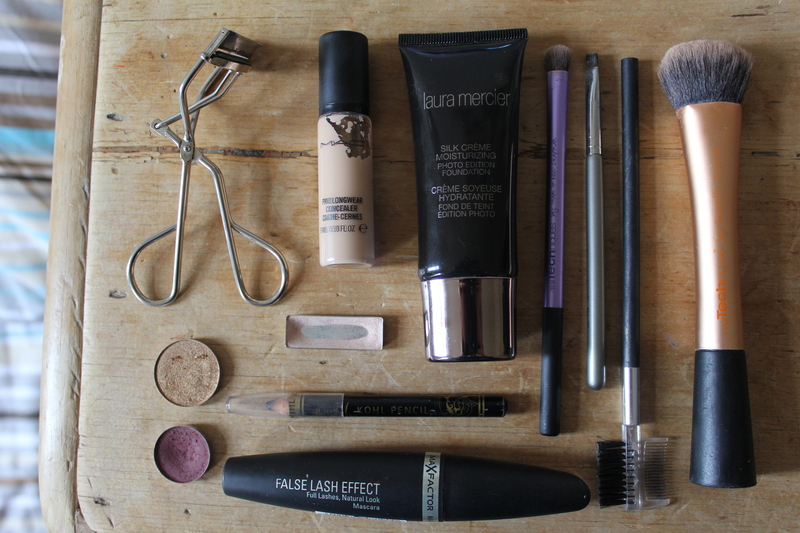 Once I was satisfied with the shape, I curled my lashes and applied loads of mascara. Next, I drew on a nose and mouth. 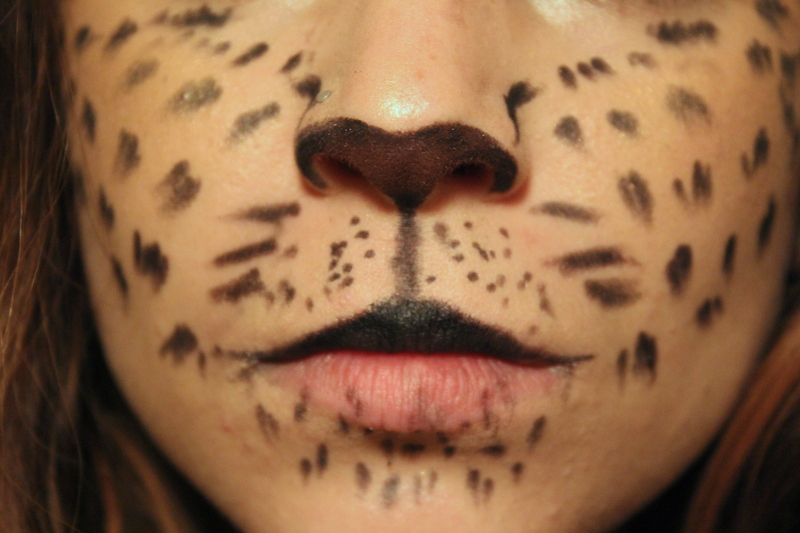 Make sure to include the curve on the top of the nose and the black dots where whiskers come out. I also added a touch of dark pink shadow to the centre of my nose. Finally, I used my pencil to jot on facial markings. Make sure to do both sides of the face for each marking, keeping the face symmetrical as you go along. It’s easier than completing one side and then trying to replicate it on the other. Finally I added a small amount of shimmery shadow around the eyeliner as a nod towards the lighter fur around a leopard’s eyes. For extra effect, backcomb your hair, wear some leopard print and pose your heart out.